Maury Chaykin looked a little lost, a huge, shambling, shaggy man in the corner of the bar, by himself and clearly overwhelmed by the film festival crowds. So I said hello. He gave me a look that I would later learn meant “Are you the guy with my cigar?” I introduced myself. I really wanted to meet the man; he’s a great actor, a classic Canadian face and one of the few celebrities I’ve always expected would be more down-to-earth than the usual Hollywood star. He wasn’t. Not off the bat. He rocked back and forth on his heels and looked around the smoky room. You could still smoke in bars back then, which is good, because this was a cigar bar, and he thought I was a waiter, because I was young and thin and dressed in black. “You know what my favourite line of yours is?” I asked, fuelled by an amber-coloured elixir called Warthog Ale. “What?” he sighed, clearly expecting me to recite some obscure bit of dialogue from Atom Egoyan’s The Adjuster, which I had to look up on IMDB just now because I don’t watch that kind of artsy crap. I was at this film festival because of the Midnight Madness horror marathon. So I recited the line: “No sef-respecktin Sutherner uses INSTANT grits!” And his face lit up. This is how I spent a beer-soaked, cigar-sampling night hanging out with Maury Chaykin, swapping stories about how good it feels to love bad movies — or to be in them, as he has been. The titles are legend: Iron Eagle, Wild Thing, Turk 182, Meatballs III: Summer Job and many, many more. Most of us know him from Dances With Wolves, of course. I know him from Whale Music, a sadly underseen Canadian drama, one of my favourite films. 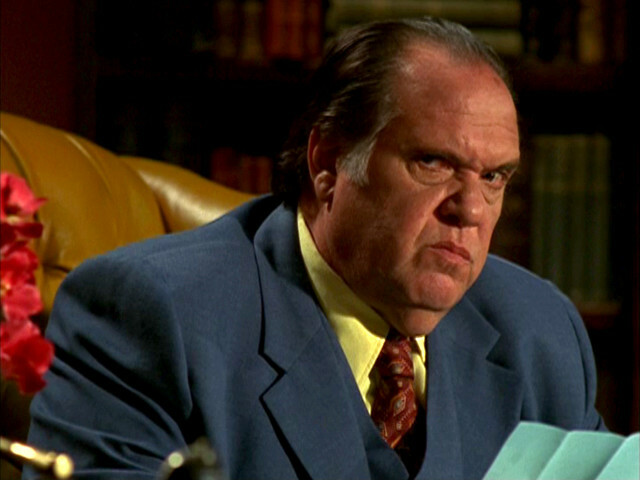 I told him how the one TV channel I could get on my hospital TV during my long convalescence in 2000 showed A&E’s Nero Wolfe series over and over again, so much so that I can’t think of Wolfe without thinking of Chaykin. Maury Chaykin died a couple of hours ago, on his 61st birthday. He was a sweet guy, a terrific actor, and one of those single-serving friends I will never forget. You are currently browsing the Weather Station 1 blog archives for the day Tuesday, July 27th, 2010.